Let us help make your day a memory that you, your spouse, family and friends will remember forever. 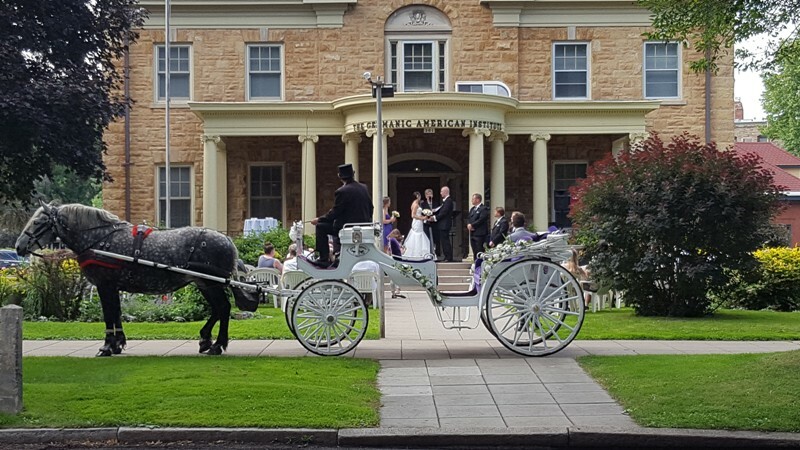 The day of your wedding will be one of your most cherished memories. 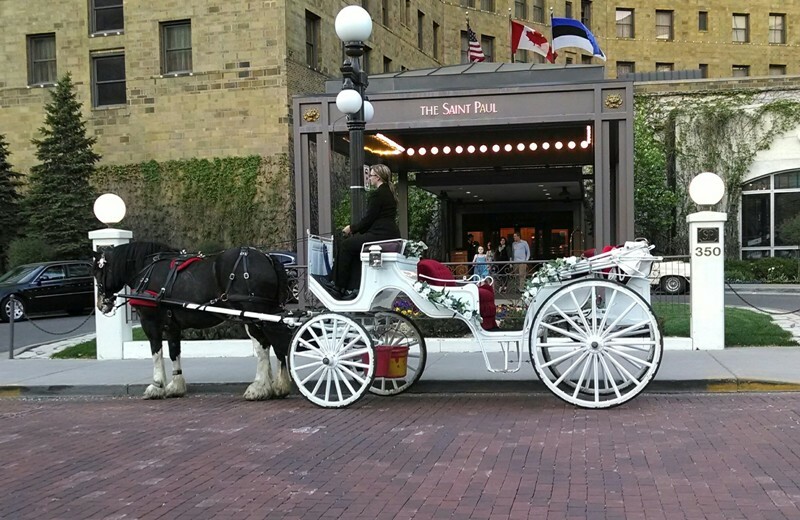 Continue the romance of your courtship by arriving at your ceremony in a white carriage pulled by a beautiful horse. 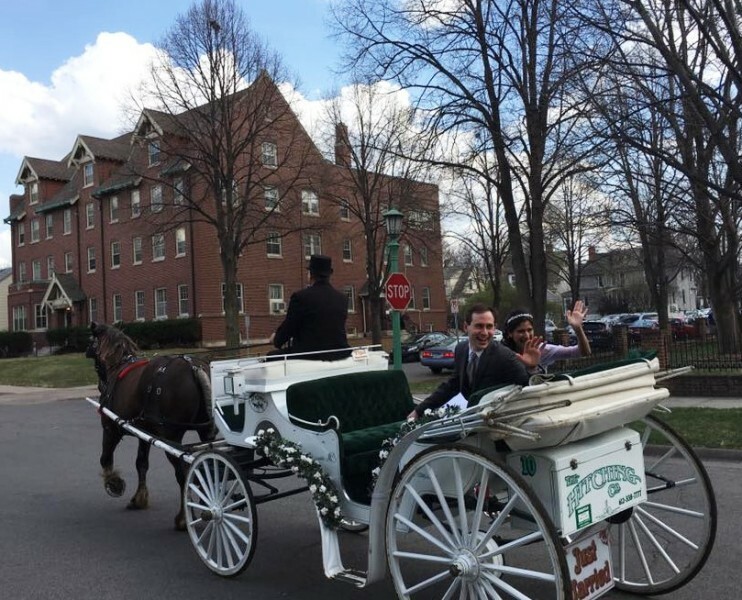 After the ceremony, the happy couple can have a few moments alone to relax and reflect on the day’s activities as they take a carriage ride to the reception. 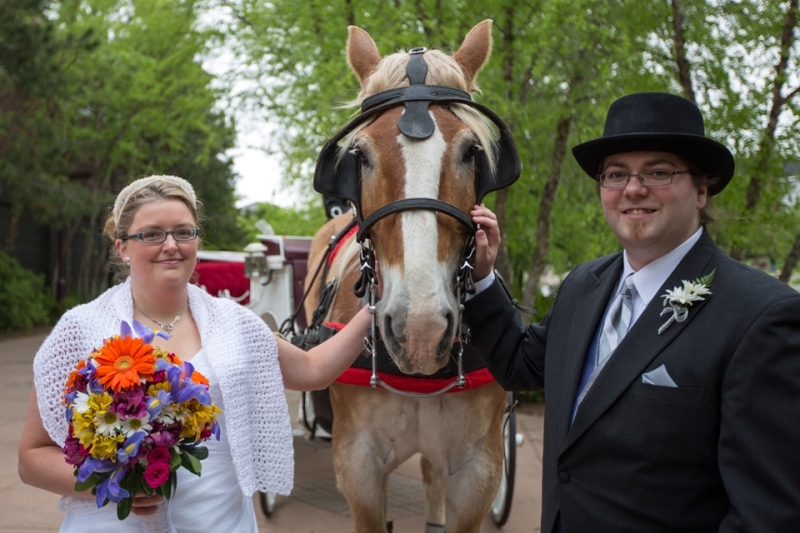 Our carriages are decorated with flowers and greenery and have a “just married” sign on back. 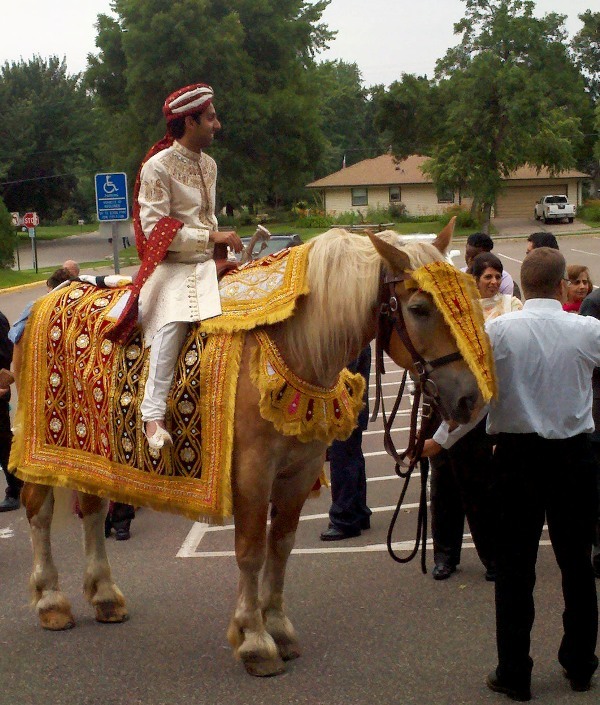 The Hitching Company aims to accommodate all cultural traditions. 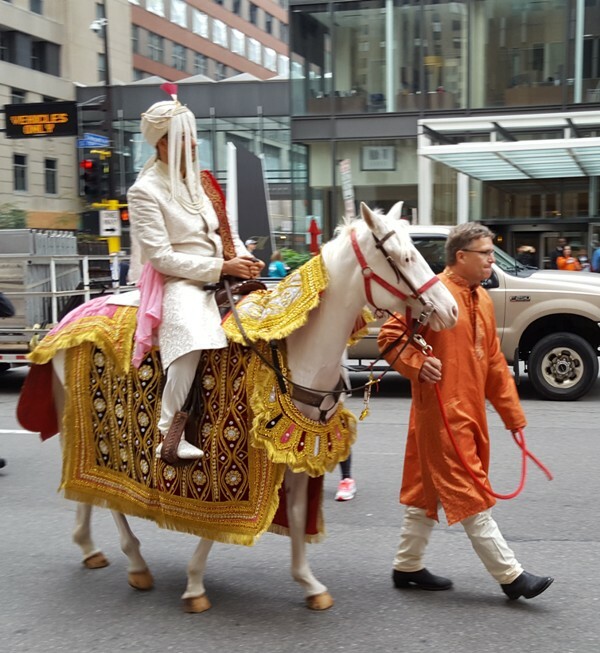 The Hitching Company offers a white mare horse decorated with an authentic costume from India. 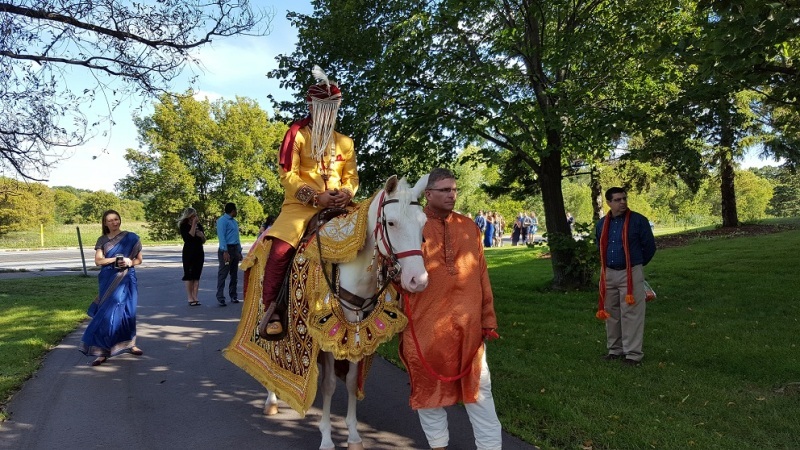 The groom rides through the ceremony led by a costumed handler. 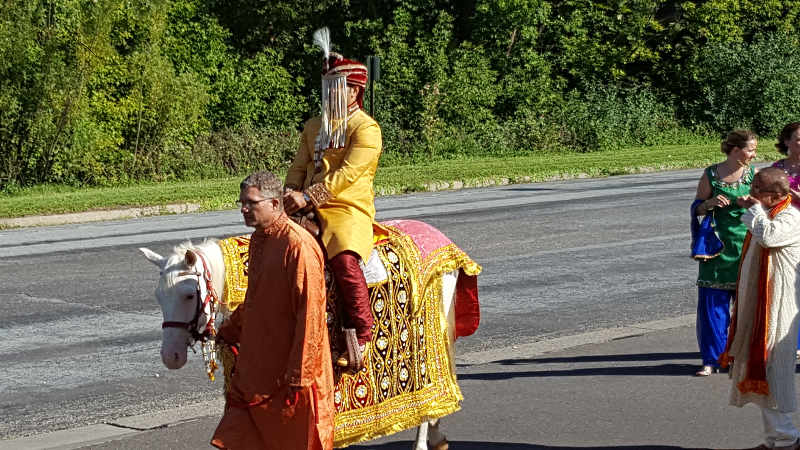 Our horse is gentle and used to the music, drumming and festivities. 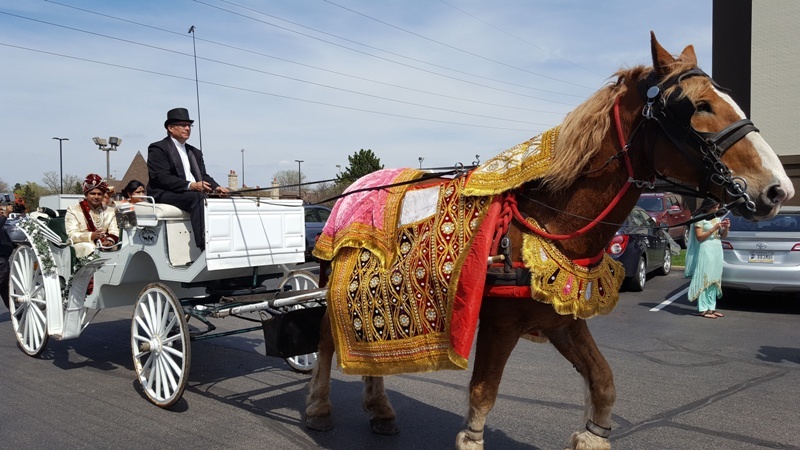 If the groom would prefer to ride in a carriage, we can accommodate that also. 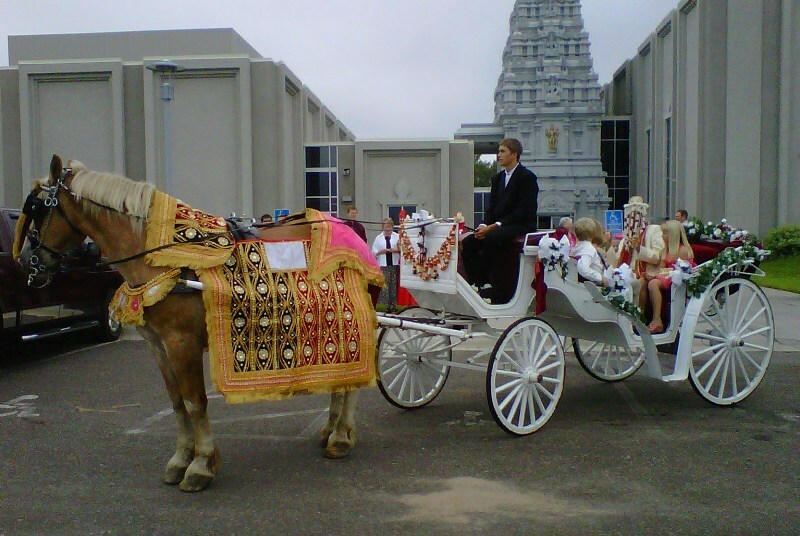 The carriage is decorated with flowers and greenery and the horse also wears the traditional Indian costume. 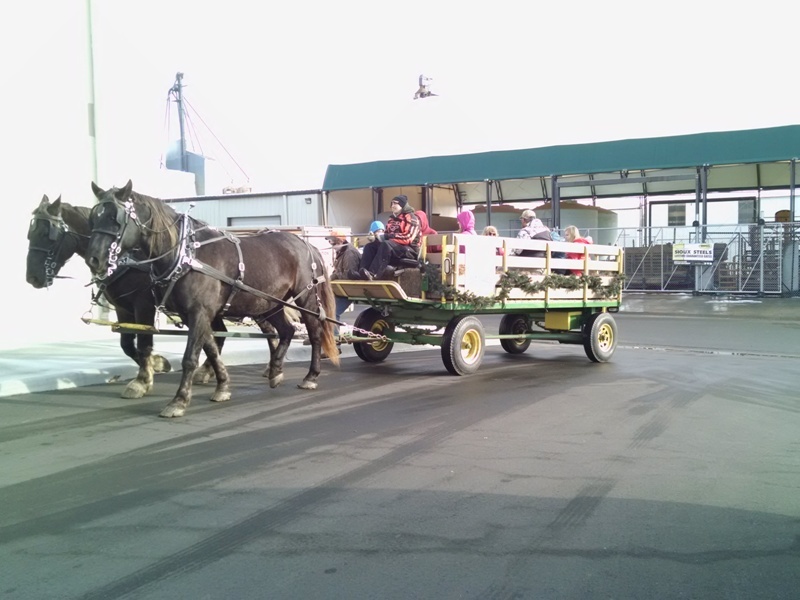 The Hitching Company offers horse-drawn carriages, trolleys and hay wagons for all occasions. 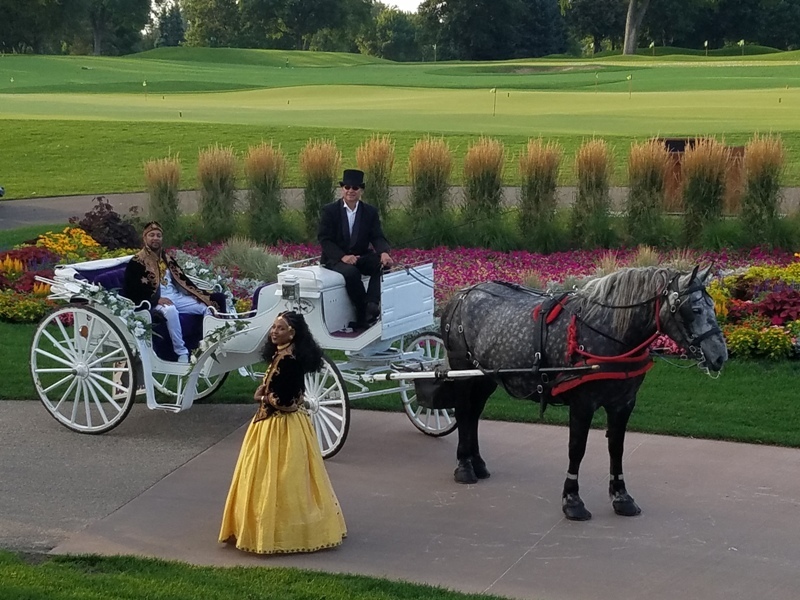 Let us make your community celebration, corporate event, holiday party, Quinceanera or prom unique. 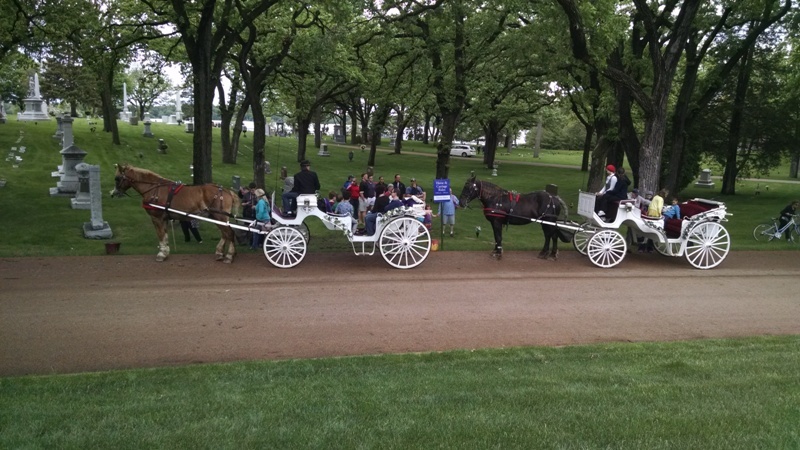 Having a horse-drawn unit in a parade is always a hit with parade spectators. 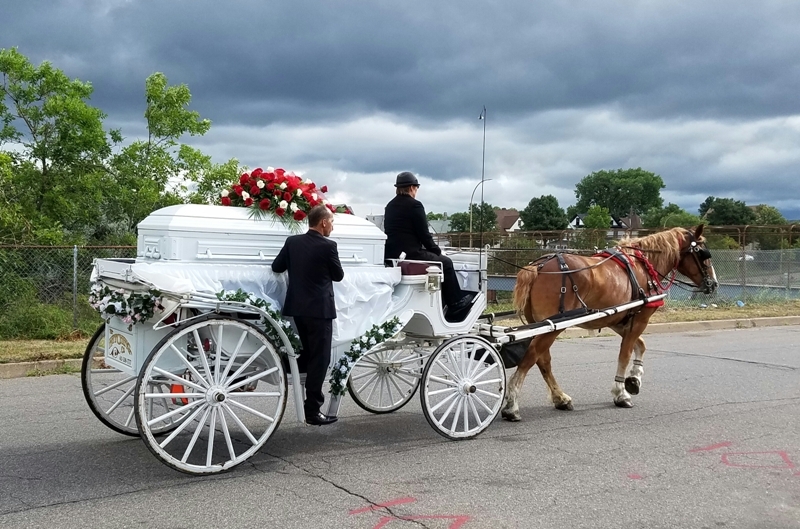 We can provide a funeral carriage to bring your loved one to their final resting place. 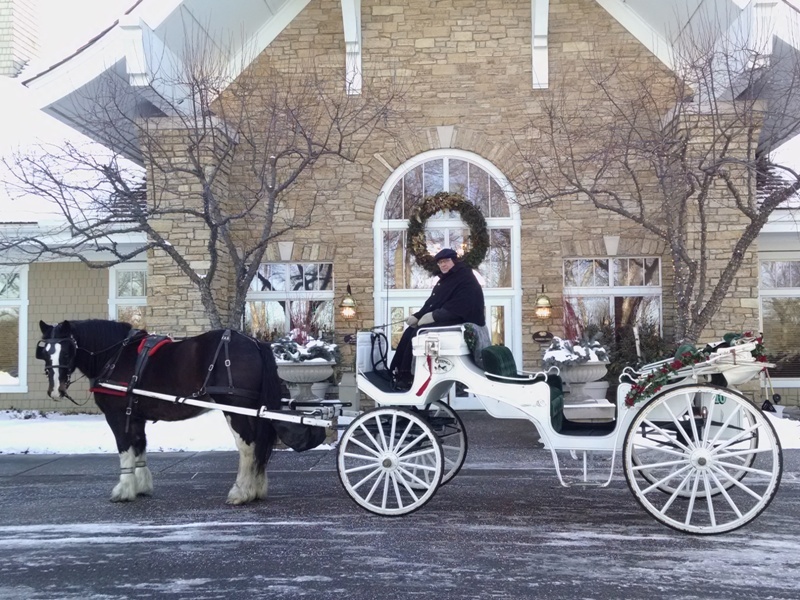 Our carriages hold four adults comfortably. 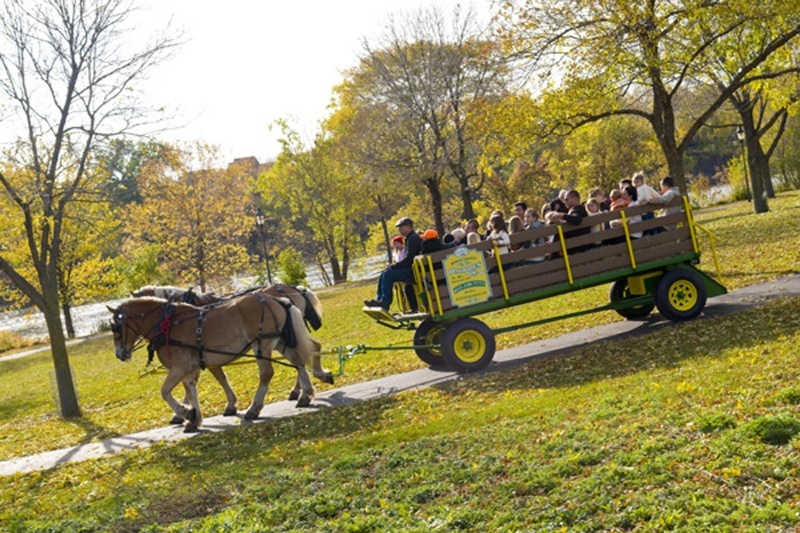 The trolley and hay wagon can accommodate approximately 20 adults. We can help you with ideas to make your special event spectacular.